One question we often hear: Do you get money back after posting bail? It depends. 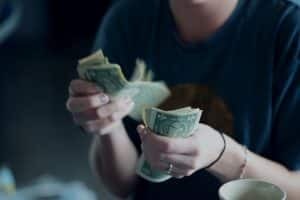 You can get money back if you paid the bail in full in cash at the courthouse or police department in Connecticut. You can get the money back at the end of the case. But be aware that the court can charge court fees and fine payments out of the amount you originally gave as bail money. Unfortunately, we cannot guarantee that you will get the full amount back. 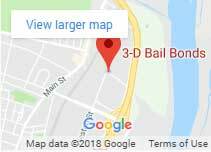 You do not get money/bail fees back if you posted bail with a bondsman in Connecticut. By using a bail bondsman you only pay a portion usually 10% for up to $5000 and 7% plus $150 for any bonds over $5,000. Now, even though this is a non-refundable bail fee, CT Bail Bondsmen can collect as little as 35% as a down payment and set a payment arrangement for up to 15 months with no interest. On-time payments required. Highly trained bail agents work with each customer’s budget so they are able to continue paying their own bills while paying for their bonds. 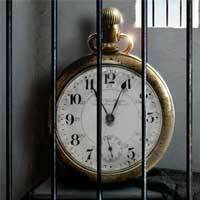 To learn more visit our bail blog article why choose for a bail bond over cash bail. 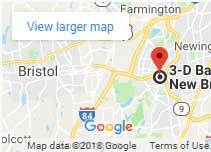 All bail fees in Connecticut charged by a licensed bail bondsman are not refundable, it is the law. However, posting bail with a bondsman is still much more affordable compared to paying it in full. For example, a $5,000 bond will cost you $5000 cash to pay it yourself. This still not knowing if you will get that full amount back. By using a CT bondsman, it can cost you as little as $175.00 with a payment plan for the balance of $325.00. As long as the defendant attends all court dates and you pay off the balance, you are all set. In conclusion, in the state of Connecticut, all paid bail fees are non-refundable so you do not get money back after posting bail. Another source you can trust for more information about bail bonds is About Bail. If you have further questions, please contact us at 860-247-2245. We are open 24 hours. It depends. You can get money back in some circumstances. One of them when you pay the bail in full in cash at the courthouse or police department in Connecticut. The money can be given back at the end of the case. But be aware that the court can charge court fees and fine payments out of the amount you originally gave as bail money. Unfortunately, we cannot guarantee that you will get the full amount back.